After reading Ray Comfort's Militant Evangelism, being convicted by the Holy Spirit for my sins of evangelistic apathy and depraved indifference, I was determined to engage in biblical evangelism. Through the Living Waters website, I discovered there were other people (not many) in my area for whom the evangelism light bulb was now illumined. It was about 11 years ago that I went to a mall for the first time to engage in evangelism. A man who would become a good friend, and remains one to this day, Dru Morgan, was my leader that evening. It was one of the first times I distributed gospel tracts, and I think it was the first time I ever engaged a stranger in evangelistic conversation. Wow. A lot of life and ministry has happened since. The Westfield Valencia Town Center is the only mall in my community. I arrived at the mall yesterday afternoon, about a half-hour before my appointed time. After I parked, I packed up my rolling cart with bibles (English and Spanish), gospel tracts (again, English and Spanish), and an assortment of other visual aids. I made my way to the security office where I signed in. Liking to patronize the mall while I'm there, I stopped at Starbucks on my way to my assigned location, on the second floor. My spot was at the top of the escalator and situated between the children's play-place and the family lounge. A great location. Waiting for me was a table with a nice, black tablecloth and three chairs, provided and set up by mall staff. The above photo is what my evangelism table looked like once I set up everything. It's a Different Kind of "Fishing"
Allow me to use some fishing analogies to describe the various kinds of evangelism in which I engage. Open-air preaching is like commercial fishing with nets. The preacher casts a wide net hoping to catch many fish at one time. Engaging strangers in conversation is like fly fishing. The fly fisherman is hunting with rod and reel. He reads the flow of the stream. He looks for tell-tale signs of spots where fish might be hiding. And then he tosses the fly in the general proximity of where he suspects fish to be, hoping they will bite. Engaging strangers in one-to-one conversation involves many of the same tactics. The Christian is constantly surveying the area in which he finds himself, looking for people who might be ready for a conversation. Tract distribution is like chumming the water--throwing bait on the water to attract fish. The Christian distributes tracts hoping everyone who takes one from his hand will come to repentance and faith as they read the tract. He also hopes people will stop as they receive a gospel tract and engage in conversation. Mall evangelism is like the kind of fishing you might see in a Norman Rockwell painting. Picture a fisherman sitting on a chair or his tackle box along the shore of a peaceful pond or lake. His pole is propped up on a Y-shaped stick. He eats a sandwich, or reads a book while he waits for the pole to move, indicating that a fish is going after his bait. In all of the above scenarios, there is a common denominator. They are all examples of fishing, which doesn't always equate to catching. If you were to ask me what is my favorite kind of "fishing," my answer would be open-air preaching. If you were to ask me which of the before-mentioned forms of evangelism is the most effective, I would tell you they are all tied for First Place. Why? 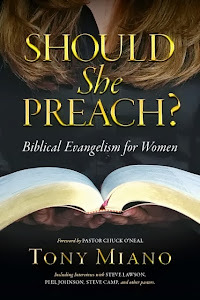 The effectiveness of evangelism, when the evangelism is biblical, is not found in a particular or preferred method of evangelism. The effectiveness of evangelism is found in the power of the message (Romans 1:16). The gospel is the power of God for salvation. The gospel. While God has hard-wired me to be a herald on the streets and college campuses, I love all forms of biblical evangelism, including (but not limited to) conversations, tract distribution, and mall evangelism. If you would like to read some stories about my experiences in mall evangelism, you will find them here, here, here, and here. THE VERY BEST mall evangelism team of which I am well-aware is the NorCal Seedsowers. This is the group, under the leadership of my good friend, Daniel Beaudoin, who inspired me to starting "fishing" at my local mall. Daniel is also a security supervisor for the Westfield Mall in San Jose, which gives him some obvious street cred (or should I say, mall cred) when it comes to evangelizing in malls. 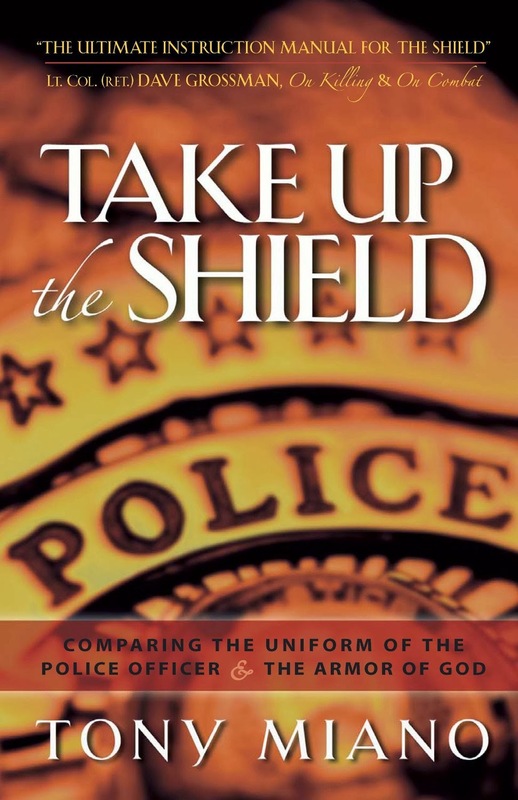 Seven years ago, I wrote an article titled "Hello Officer! -- Interacting with Law Enforcement and Security." I believe you will find the information in this article helpful all of your public evangelism efforts. Disclaimer: What I'm about to offer is NOT legal advice. I'm not an attorney, and I don't even play one on TV. The following is for informational purposes only. A 1980 United States Supreme Court decision in a landmark case, Pruneyard v. Robins, set the standard for the exercise on private property that is accessible by the public. Soon after appellees had begun soliciting in appellant privately owned shopping center's central courtyard for signatures from passersby for petitions in opposition to a United Nations resolution, a security guard informed appellees that they would have to leave because their activity violated shopping center regulations prohibiting any visitor or tenant from engaging in any publicly expressive activity that is not directly related to the center's commercial purposes. Appellees immediately left the premises and later filed suit in a California state court to enjoin the shopping center and its owner (also an appellant) from denying appellees access to the center for the purpose of circulating their petitions. The trial court held that appellees were not entitled under either the Federal or California Constitution to exercise their asserted rights on the shopping center property, and the California Court of Appeal affirmed. The California Supreme Court reversed, holding that the California Constitution protects speech and petitioning, reasonably exercised, in shopping centers even when the center is privately owned, and that such result does not infringe appellants' property rights protected by the Federal Constitution. And here's how the United States Supreme court decided the case. We conclude that neither appellants' federally recognized property rights nor their First Amendment rights have been infringed by the California Supreme Court's decision recognizing a right of appellees to exercise state-protected rights of expression and petition on appellants' property." The US Supreme Court affirmed the judgment of the Supreme Court of California. While this court decision was good news for free speech advocates in California and 36 other states, to this day there remains 13 states that refuse to follow the precedent set in the Pruneyard v. Robins case. Those states are: Arizona, Connecticut, Georgia, Iowa, Michigan, New York, North Carolina, Ohio, Oregon, Pennsylvania, South Carolina, Wisconsin, and Washington. Now, I know some of my friends who live in the before-mentioned 13 states just had their hearts broken. I'm so very sorry. Really. I know what such news would do to my spirits. Just because you live in a state that has not adopted the Supreme Court decision in Pruneyard v. Robins as state law, that doesn't mean the malls in your area will not allow you to engage in evangelism on mall property. It simply means they are not legally obligated to allow you to engage in evangelism on mall property. That is an important distinction. Now, if you live in one of the 37 states that recognizes the Pruneyard v. Robins decision, this does not mean you can simply walk into your local mall and do whatever you want. Don't expect to waltz into the mall, stand atop a table in the food court, and start open-air preaching without quickly being told to stop and/or escorted off mall property by mall security. In the before-mentioned scenario (which has been tried by some zealous evangelists, by the way), mall management would have every legal right to send you and your gospel tracts packin'. If you look again at the Supreme Court's decision in Pruneyard v. Robins, you will see that business owners/management, while they cannot prohibit free speech exercise, they do have the right to regulate it. The Supreme Court indicated that businesses can establish "time, place, and manner" regulations for free speech exercise on their property. This means malls can legally require you to fill out an application and determine where, when, and how you will engage in free speech while on their property. If you do not comply with their legitimate "time, place, and manner" policy they can (and will) ask you to leave. When it comes to mall evangelism, I want to strongly encourage you to play by the rules. Do not bring a reproach upon Christ by trying to be a law unto yourself, by ignoring legitimate and legal policies of property owners. Step One: Talk to your pastors/elders about what you want to do. Explain to them what you want to do. While in American Evangelicalism anything is possible, it is unlikely your pastors/elders would balk. Get their blessing. Get their prayerful and maybe even their financial support (i.e. tracts, bibles, etc.). 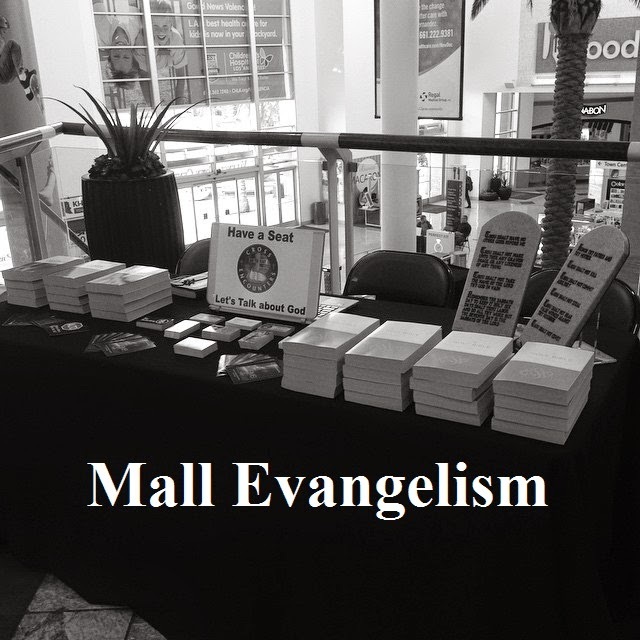 Do everything you can to make your mall evangelism a ministry of the church. Get your pastors/elders permission to have information about the church available on the table. Step Two: Go to the management office of your local mall. If your local mall is part of a larger corporation or groups of malls, as is the case with my local mall (Westfield), then you will likely discover your mall has a well-researched, nice and tight, legal "time, place, and manner" free speech policy. If the mall is an independent establishment, then, if they are current on the issue (and smart) they will likewise have a solid free speech policy. Go to the management office of your local mall and request an application for use of the common area for free speech. Or you can ask for an application for the distribution of literature. Or you can ask for an application to set up a free speech table. The application will likely ask for your name, address, phone number, email address. It will also ask for information regarding the group, organization, ministry, or church you represent. Give the information. Set your conspiracy theories and fears of "big brother" aside. Getting the gospel to the lost is more important than the illusion of privacy. That's right. Privacy is an illusion. But that's another article. The mall has the legal right to know to whom they are granting permission to exercise free speech on their property. When you go to the mall to complete and submit the application, have some samples of the material you plan to distribute at the table. Mall management will likely request this, too. As part of the application process, you will be given choices regarding dates, times, and locations within the mall to set up your evangelism table. In my case, it has been a very pleasant experience working with mall management. My local mall provides me with the choice of one of seven different locations in the mall. Most of them are well-traveled areas. And a few of the options are high traffic areas where I can go through hundreds of tracts in a matter of a few hours. Step Three: Decide what you will put on your table. Your mall will likely provide you with a table (6'-8') and a few chairs. My mall limits me to three people working my table, at any given time. Pack your table with bibles, gospel tracts, DVDs, church information, and any other material you would like to give away. Try to include some eye-catching props that will draw attention to your table. The mall will likely allow you to small, standing signs on the table. Get creative. Okay. So, you went to your pastor. He's an on-fire evangelist and loves that you've taken the initiative (nothing wrong with being hopeful, is there?). You've gone to your local mall, completed and submitted the application, and picked your time and date. You've got all of your material and props together, and you're ready to go. The big day comes. You've got everything set up. You've posted pictures of your table on Facebook, Twitter, Instagram, and in your favorite atheist chat room, just to send them into neurotransmitter misfire (some evangelists are a little twisted that way). You sit down behind the table and begin to check your email on your phone or your begin to dig in to that new book you've been meaning to read. How inviting do you think it is to a stranger walking toward your table when all he or she can see is the top of your head? In my case, the reflection of mall lighting off my cranium could blind the person and potentially expose me to a civil suit. Your demeanor need not (and should not) be over the top. But you should be at least as excited to be there as the kids working the different kiosks throughout the mall. Come to think of it, you should be more excited than the kids working the kiosks. Many of them look like they are waiting for a root canal. Keep your head up. Keep your eyes open. And smile. Look. I'm a retired deputy sheriff. I look like a cop. I sound like a cop. And when I make eye contact with a person, I can leave them thinking, "What? I haven't broken the law. Have I broken the law? Is he going to take me to jail? I think he wants to take me to jail." Sometimes their first impression would be accurate. But I digress. The point is that I know enough about myself to know I have to be intentional to smile--to look and sound friendly. Again, at the mall you are going to be contacting strangers. People you've never met are going to be the majority of folks who walk up to the table. You can have the best looking table on the planet, but if the look on your face, your body language, or your overall countenance is telling folks to stay away, what do you think people are going to do? That's right. They're going to stay away. When someone makes eye contact with you, say hello. Whether or not the person comes over to the table, wish people a good day. Did I mention the whole smiling thing? If someone stops and his eyes seem to linger in the direction of your table, let them know that everything on the table is free. Ask them if they would like a free Bible. Engage them in conversation. Ask them about their day. Ask them what brings them to the mall. 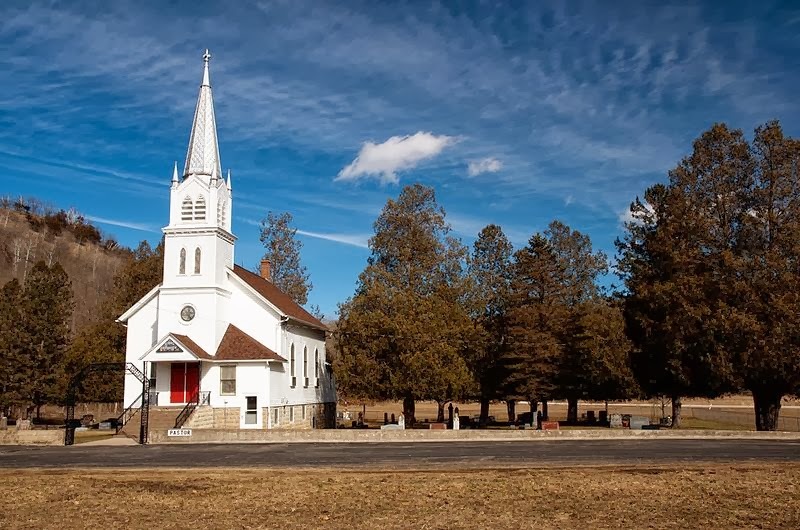 Ask them if they attend church locally or if they have any spiritual beliefs. One look at the table and the person knows why you're there (at least they should). So, you can skip all the uncomfortable formality of trying to engage a stranger in a conversation without the other person having any context for why you are talking to them. Have fun! Let the joy of the Lord be your strength! Think nothing of how many or how few people are coming to the table. Remember, this is a different kind of "fishing." You're the fisherman sitting peacefully on the lake's shore, waiting for the big one to bite. I've titled this article "The Mall: A Great Fishing Pond..... While it Lasts." The reason: the availability of this kind of evangelism won't last forever. I think it's pollyannic for anyone to think laws are going to become more favorable for Christian evangelism. Free speech rights for Christians are not going to become more liberal, but rather more prohibitive. Yet for now, malls are still a wonderful place for reaching your community with the good news of the gospel of Jesus Christ. While this article is detailed, it is not exhaustive. However, I hope you find it helpful. And I look forward of hearing your testimonies of how you've seen the Lord work around your mall evangelism table.